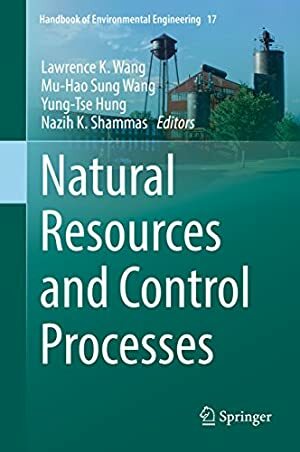 This edited book has been designed to serve as a natural resources engineering reference book as well as a supplemental textbook. This volume is part of the Handbook of Environmental Engineering series, an incredible collection of methodologies that study the effects of pollution and waste in their three basic forms: gas, solid, and liquid. It complements two other books in the series including Environmental and Natural Resources Engineering and Integrated Natural Resources Management that serve as a basis for advanced study or specialized investigation of the theory and analysis of various natural resources systems. This book covers the management of many waste sources including those from agricultural livestock, deep-wells, industries manufacturing dyes, and municipal solid waste incinerators. The purpose of this book is to thoroughly prepare the reader for understanding the sources, treatment and control methods of toxic wastes shown to have harmful effects on the environment. Chapters provide information on some of the most innovative and ground-breaking advances in waste characterization, control, treatment and management from a panel of esteemed experts. Log In to track Mu-Hao Sung Wang on eReaderIQ. to be notified each time the price drops on any book by Mu-Hao Sung Wang. to stop tracking Mu-Hao Sung Wang. Log In to track Nazih K. Shammas on eReaderIQ. to be notified each time the price drops on any book by Nazih K. Shammas. to stop tracking Nazih K. Shammas. We started tracking this book on December 4, 2017. This book was $139.41 when we started tracking it. The price of this book has changed 18 times in the past 503 days. The current price of this book is $172.81 last checked 3 months ago. The lowest price to date was $139.41 last reached on December 4, 2017. This book has been $139.41 one time since we started tracking it. The highest price to date was $258.15 last reached on October 2, 2018. This book has been $258.15 one time since we started tracking it. We last verified the price of this book about 3 months ago. At that time, the price was $172.81. This price is subject to change. The price displayed on the Amazon.ca website at the time of purchase is the price you will pay for this book. Please confirm the price before making any purchases.